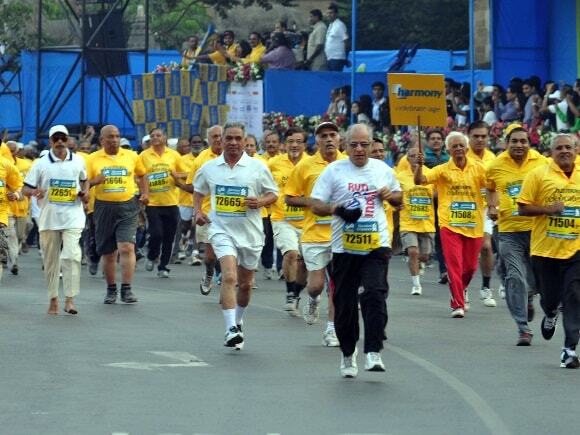 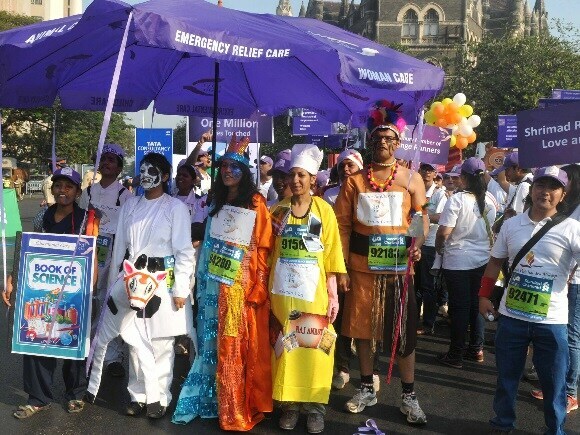 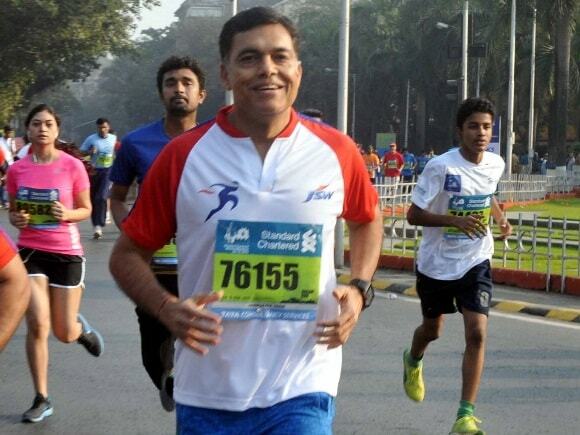 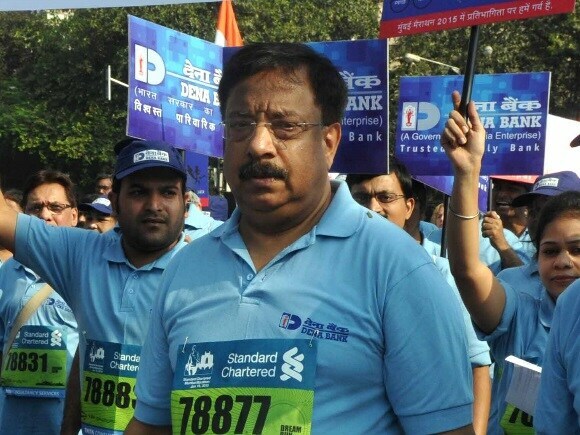 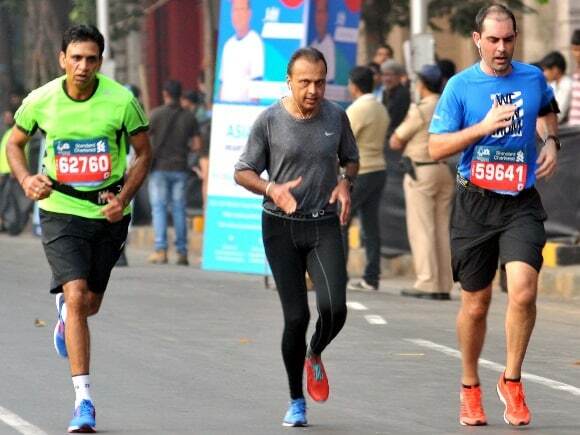 Mumbaikars participate in the Standard Chartered Mumbai Marathon 2015. 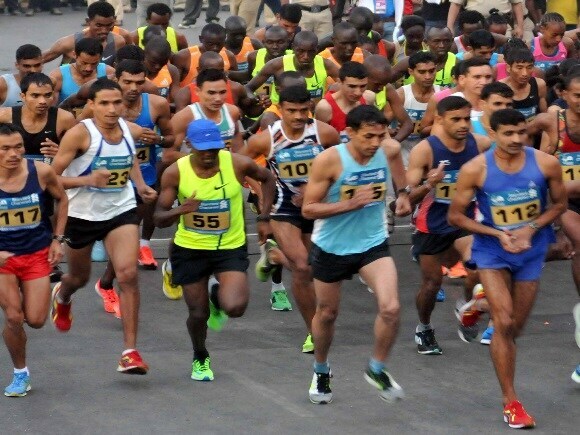 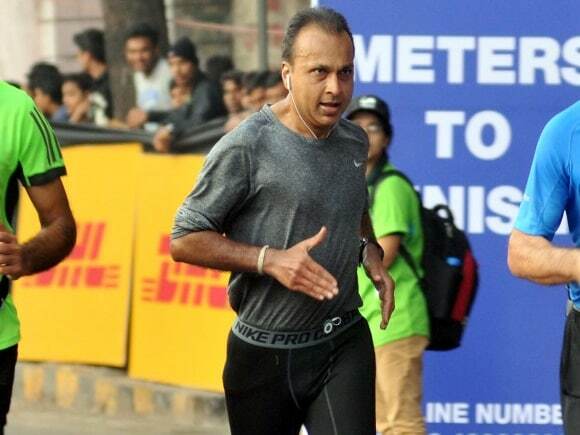 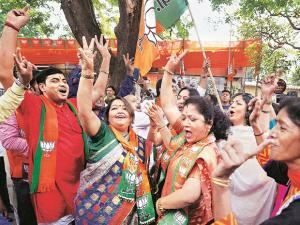 Nearly 40,000 people took part in the 12th edition of the marathon which started and finished at the Azad Maidan sports ground. 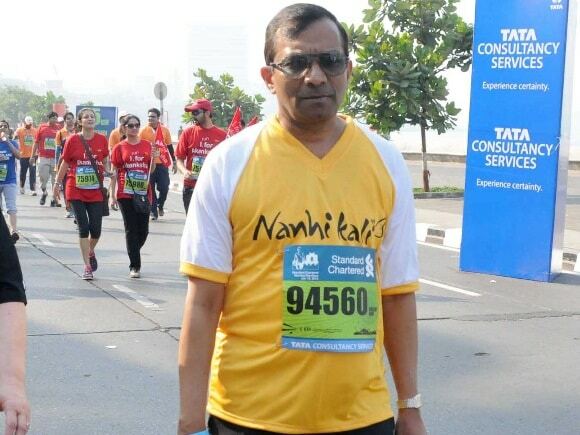 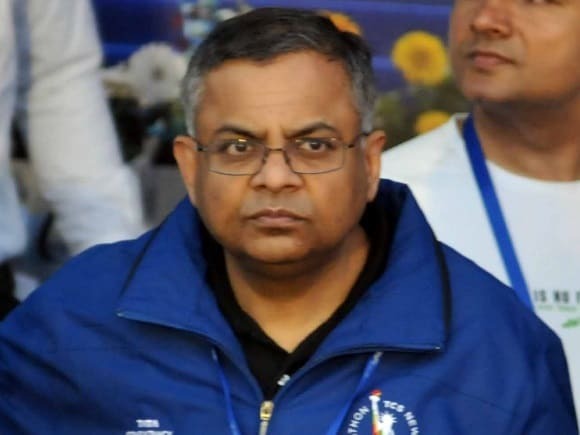 N Chandrasekaran, CEO & MD, Tata Consultancy Services (TCS). 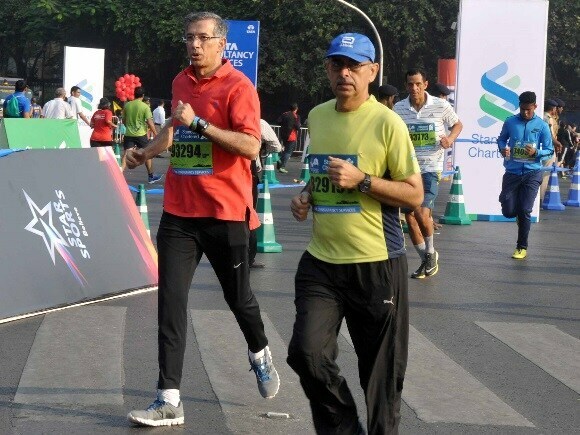 TCS has been specially associated with the Standard Chartered Mumbai Marathon and announced to sponsor top 2 male & female runners for the NYC Marathon. 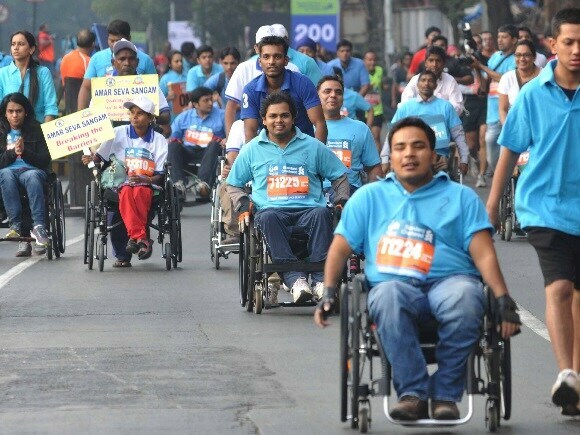 The marathon brought together thousands of long-distance runners, senior citizens, physically challenged participants and amateur runners. 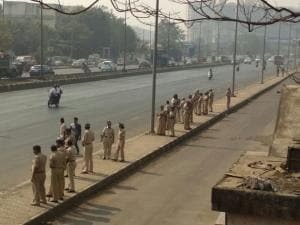 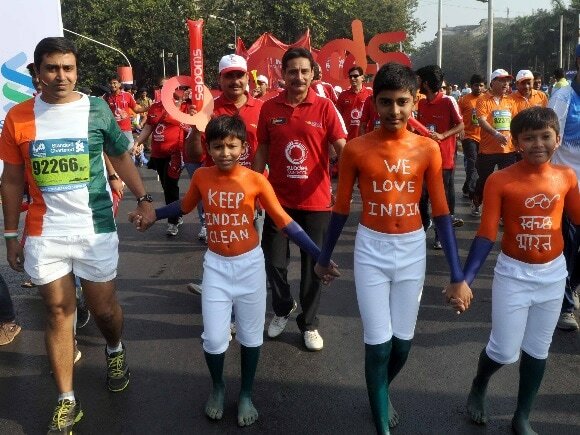 Differently abled children also participated in the marathon. 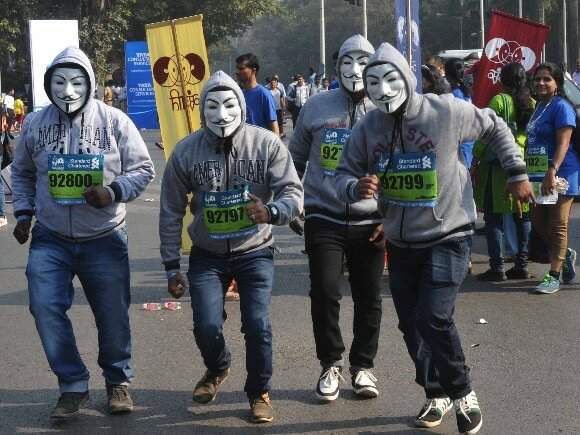 In protest of the Charlie Hebdo attack, these runners came to show their solidarity. 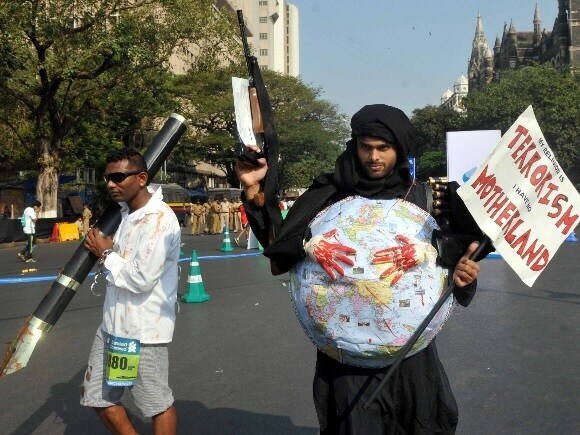 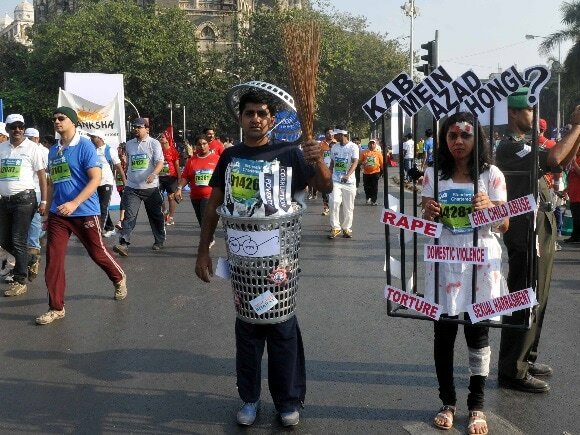 Some chose to use the marathon as a platform to promote their message.